The Browns is a loose name for a Martian ideological movement that appeared during the 22nd century as a synthesis of the initially opposed Green and Red views. Their name and position is less well defined that these two (other suggested names or colors are the burnt umbers, siennas, madder alizarins, Indian reds or khakis). With Mars in a quite advanced stage of terraforming, the native Martian population embraced the concept of areophany and ecopoesis. The general opinion was no longer to create a replica of Terra, but instead to stabilize terraforming in a way that would be a compromise between Green, in that a fully working biosphere would exist in low altitudes, and Red, in that the higher altitudes would be conserved as close to their initial state as possible. 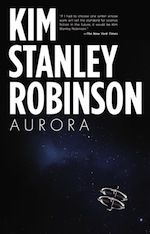 The relationship that Sax Russell and Ann Clayborne developed in their later lives is highly symbolic of this union of opposites that the Martian crucible culture was able to reach.